gives the absolute value of the real or complex number z.
Abs is also known as modulus. For complex numbers z, Abs[z] gives the modulus . 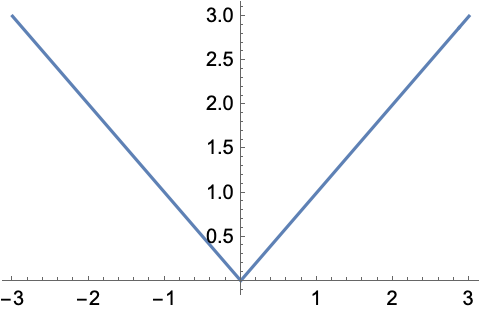 Abs[z] is left unevaluated if z is not a numeric quantity. Abs automatically threads over lists.